Waterstone's managing director James Daunt will deliver the keynote speech at the Independent Publishers Guild (IPG) annual conference and awards next year. 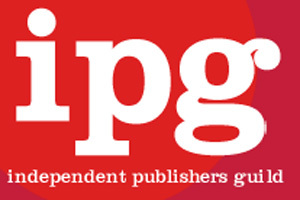 The event, which takes place from Wednesday 7 to Friday 9 March at Heythrop Park, is IPG's 50th annual gathering and will include the sixth IPG Independent Publishing Awards. Heythrop Park, near Chipping Norton in Oxfordshire, features state-of-the-art conference and hotel facilities and an 18th century country house set in 400 acres of countryside. Bridget Shine, IPG's executive director, said: "We are thrilled that James Daunt has agreed to present the keynote speech at our 2012 Conference. "Waterstone's is a vitally important customer for many of our members, and given James' vast experience we are sure that all independent publishers will be interested to hear his thoughts on the current state and future of our industry. "We are looking forward to welcoming members to the conference next March and hope that as many as possible will be able to join us for our 50th anniversary celebrations."